composer, born on 18th March 1961 in Białystok. In 1980-86 she studied composition with Włodzimierz Kotoński at the Music Academy in Warsaw, then in 1986-88 - composition with Louis Andriessen at the Royal Conservatoire of Music and Dance in the Hague. She also participated in International Courses for Young Composers organised by the International Society for Contemporary Music (ISCM/SIMC), Polish Section, as well as the Summer Courses of New Music in Darmstadt. In 1990-91 she worked in Berlin as a Deutscher Akademischer Austauschdienst scholarship holder. Since 1989, she has dedicated herself primarily to composition. She is a freelance composer, a recipient of numerous commissions and scholarships. She has taught at numerous courses of composition, e.g.  in Apeldoorn (1995), Radziejowice and Munich (1996), Amsterdam (1997) and California (1998). 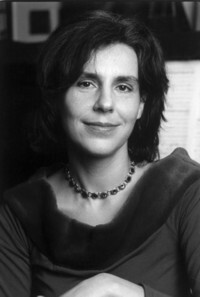 Since 1999 she has been composer-in-residence in the Netherlands. She has received numerous prizes for her compositions, including: in 1985 – 2nd prize in the European Competition for Young Composers in Amsterdam for Ad Unum for orchestra (1985), in 1987 – 2nd prize in the Young Composers' Competition of the Polish Composers' Union for a piece entitled Ride for 6 percussionists (1987) and - in the same year - the Stanisław Wyspiański Prize for Young Artists. She has also won four prizes in the Competition for Composers organised by the Warsaw Branch of the Polish Composers' Union: in 1986 she received 1st prize for Quinto for two pianos (1986), in 1987 – 1st prize for Breathe for string orchestra (1987), in 1988 – 3rd prize for Cannon for violin and piano (1988), and in 1989 – 2nd prize for aaa TRE for viola, cello and double bass (1988). In 1999, she was elected Composer of the Year in Gelderland. In November 2000, the Deutschlandfunk Radio in Cologne organised a composer concert dedicated exclusively to Kulenty’s works, and recorded on CD. In 2003, during the International Rostrum of Composers organised annually by the UNESCO International Music Council, her Concerto for Trumpet and Orchestra was the „selected work” with the greatest number of points. The composition was presented in its world premiere performance by the Dutch soloist Marco Blauuw and the National Symphony Orchestra of the Polish Radio under the baton of the Belgian conductor Ronald Zollman.